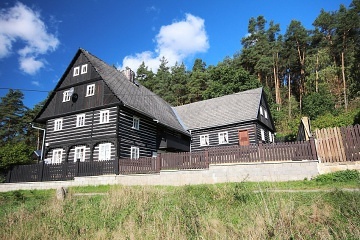 Roubenka U lesa - Máchovo jezero - Jestřebí - Újezd. 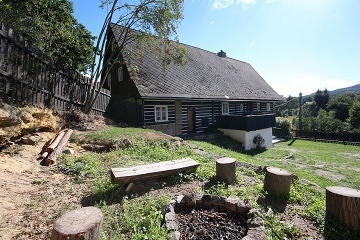 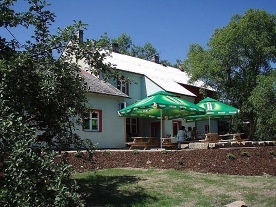 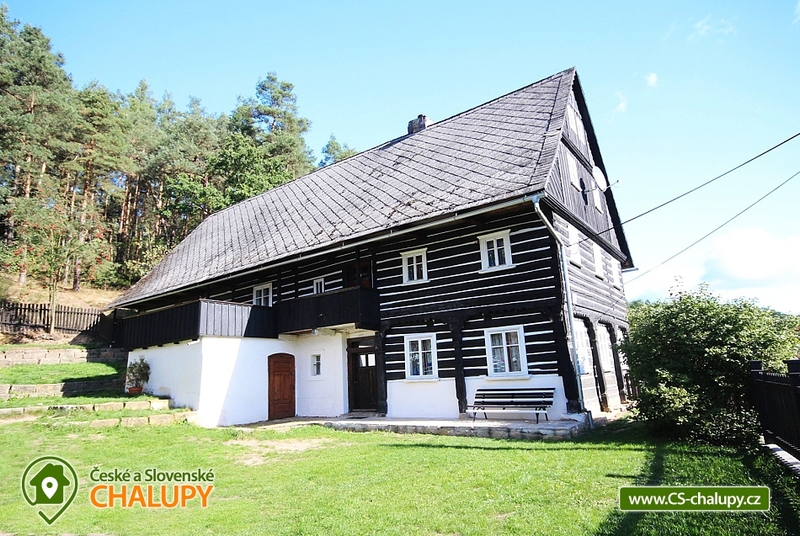 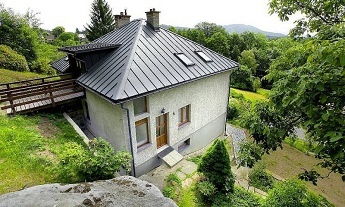 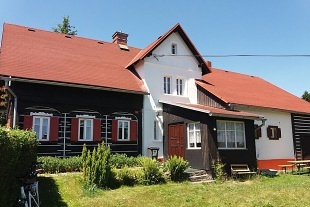 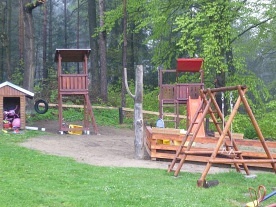 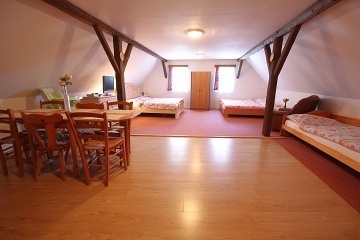 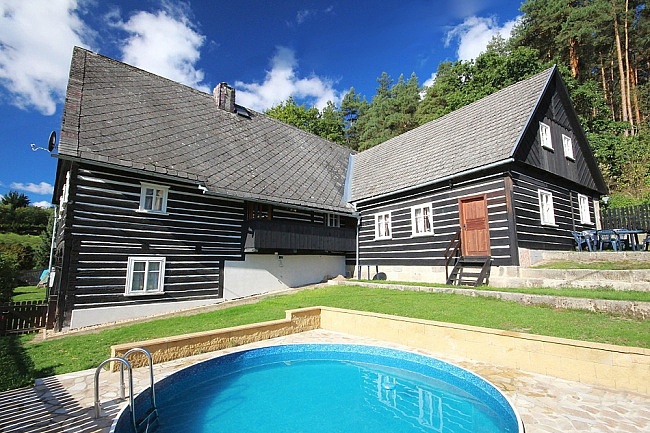 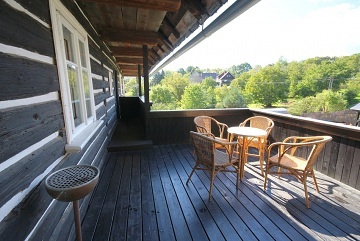 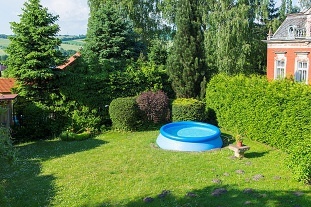 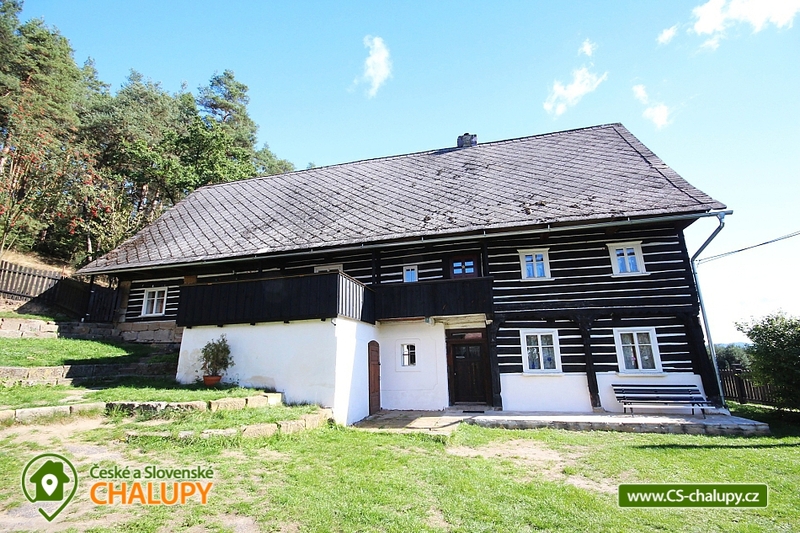 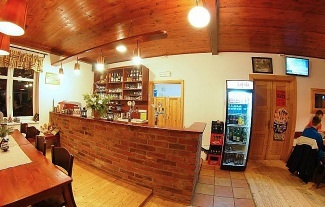 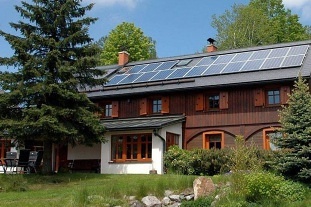 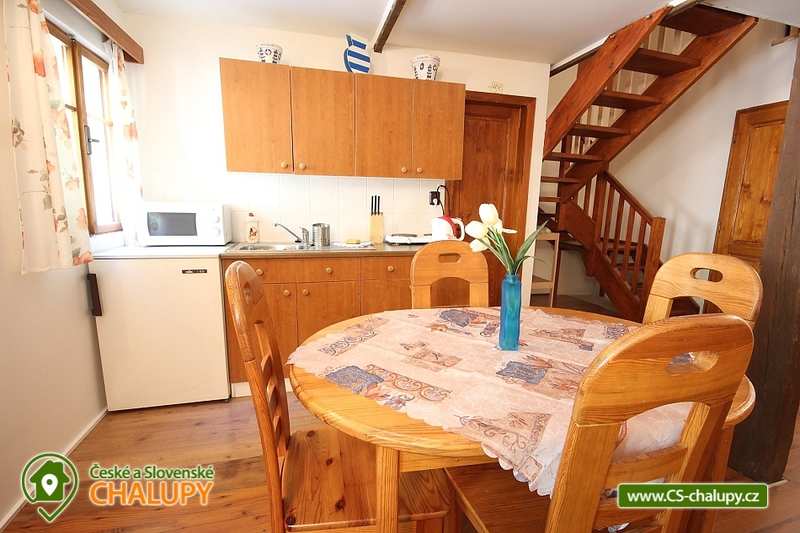 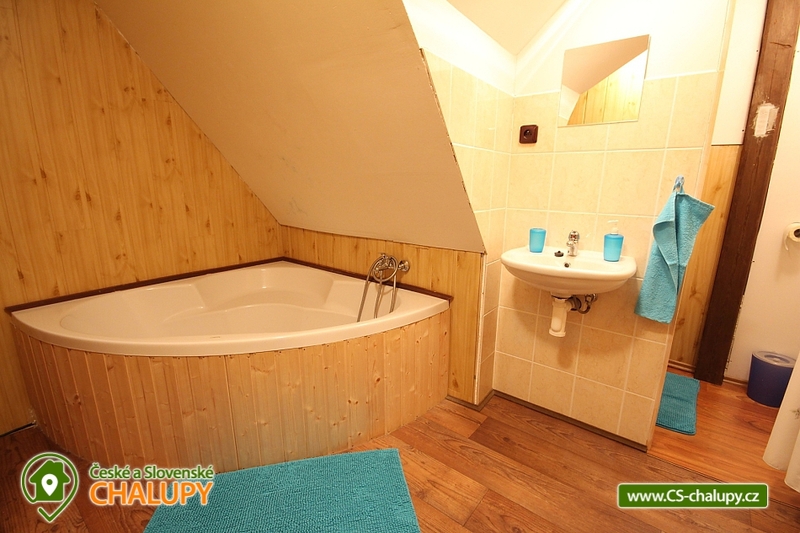 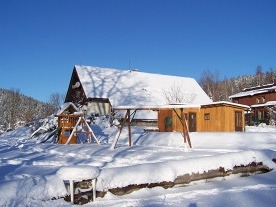 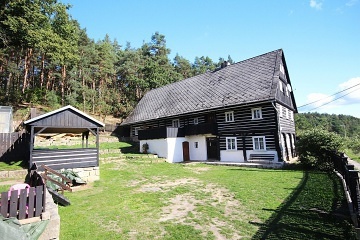 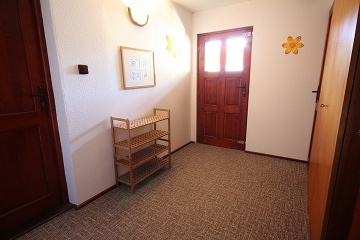 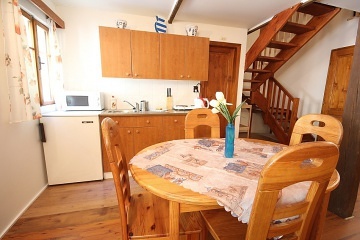 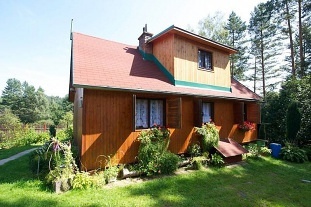 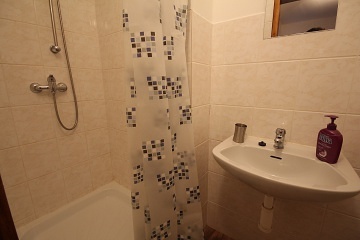 Rental of wellness cottages with swimming pool and sauna Máchovo lake. 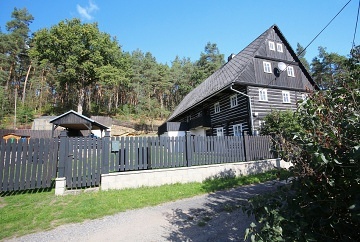 Accommodation cottage Jestřebí - Bohemian Paradise. 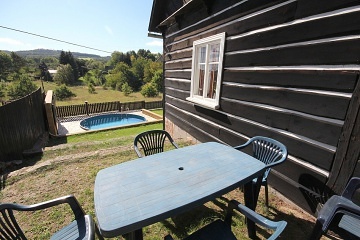 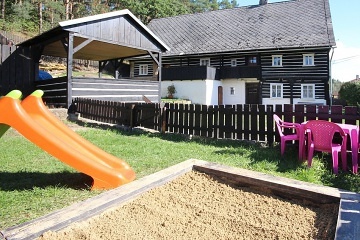 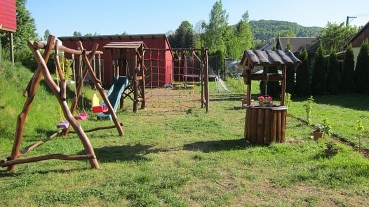 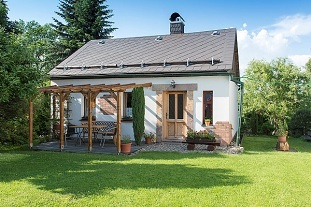 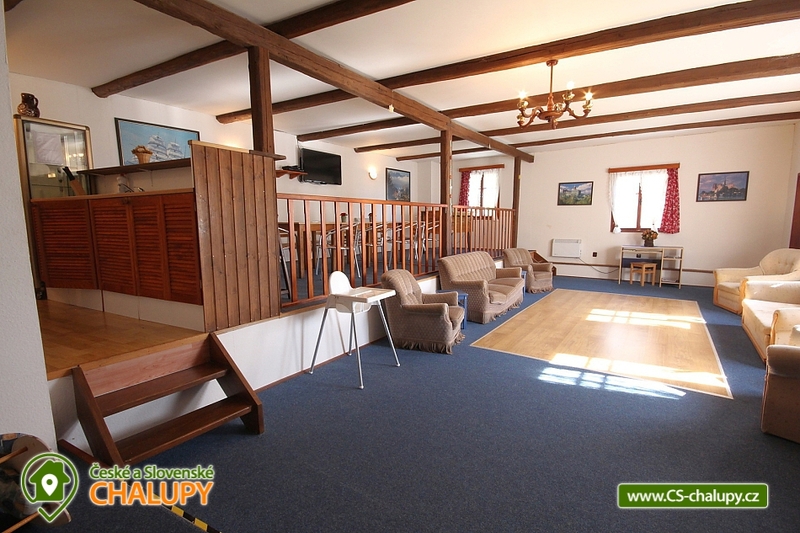 Large two-storey cottage near the forest in a fenced garden, tastefully decorated in a modern style with a Finnish sauna, hot tub, bar, dance floor, Wi-Fi internet, a children's playroom and an outdoor sun-heated swimming pool. 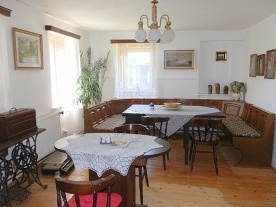 We always rent our cottage as a whole to a group of clients. 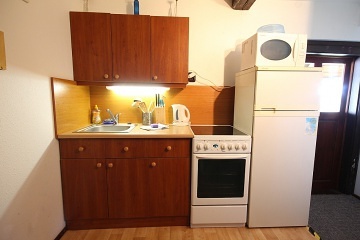 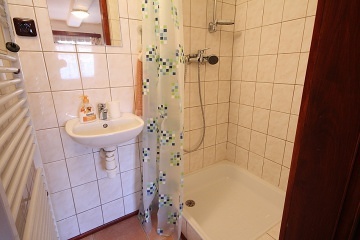 Inside there are 2 separate apartments for 6 persons on the floor and 4 double rooms on the ground floor. 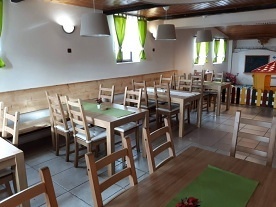 Each apartment has a fully equipped kitchenette (electric cooker, microwave, fridge, kettle), a dining table with a seating area and a private bathroom including a bathroom with a corner bathtub and a shower or a bathroom with a shower and toilet. 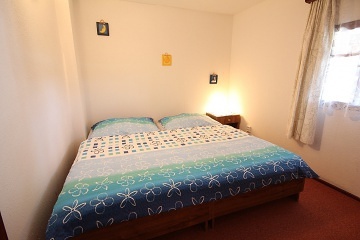 First apartment: bedroom with double bed and 4 single beds, TV + DVD player. 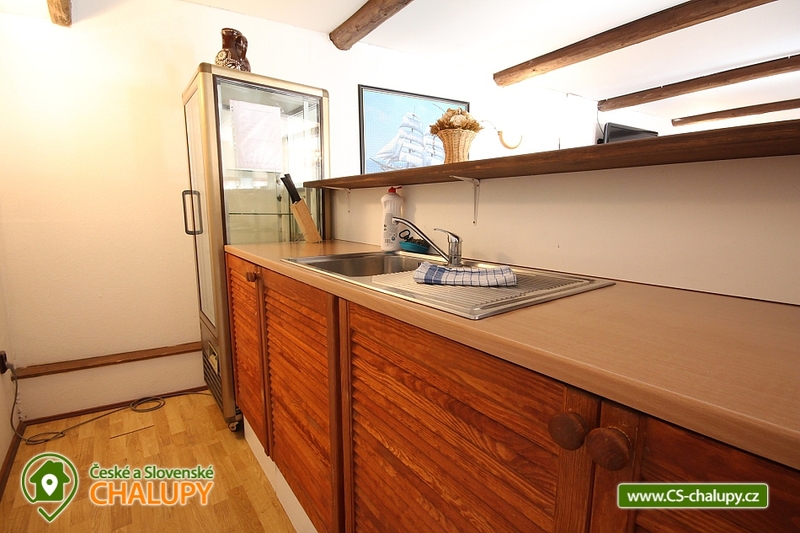 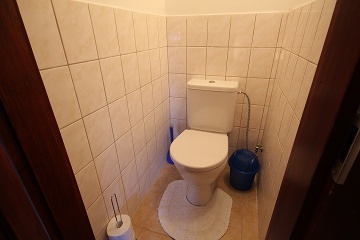 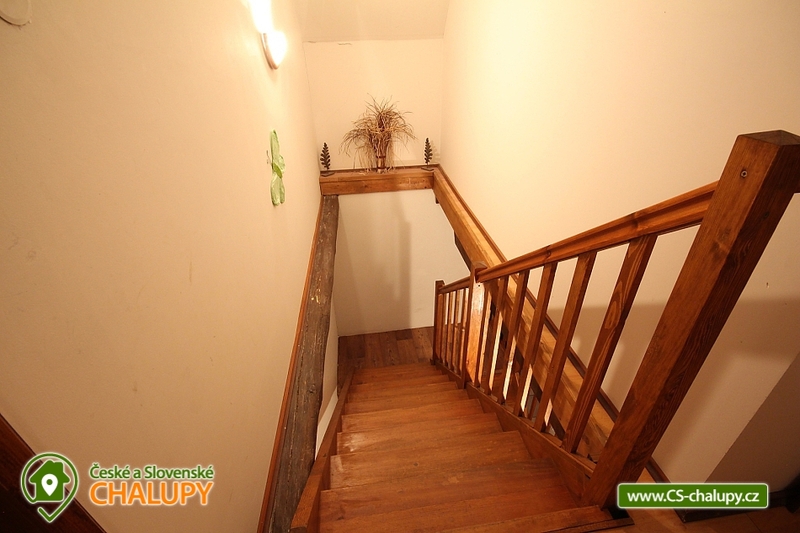 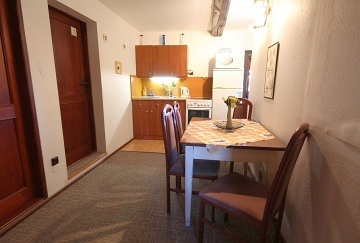 The second apartment is so called "duplex": the ground floor consists of a kitchenette, a sofa and 2 single beds, on the floor of the apartment there are 2 bedrooms: both have 2 single beds, the first bedroom is directly accessible through the staircase and passes through the second bedroom. 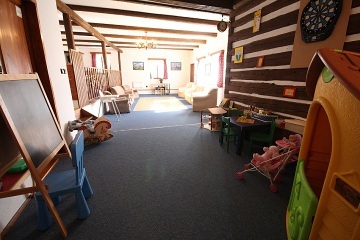 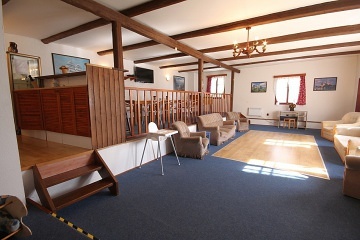 Rooms on the ground floor are 4 and each includes 2 single beds, one room has its own bathroom with shower, toilet and baby cot. 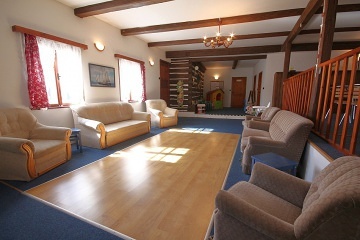 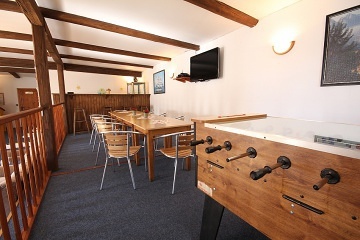 On the ground floor there is another kitchenette and lounge: bar, cooling showcase, sitting, 2x sofa, dance floor, TV + SAT, DVD player, Wi-Fi internet, table football with coin-box, el. 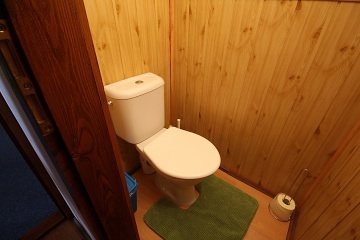 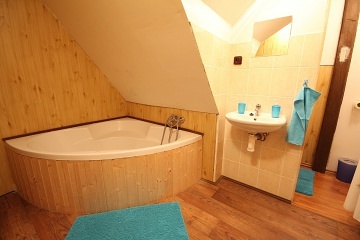 Darts, children's corner and 2x bathroom with shower, second bathroom with bathtub and 2x toilet (5x bathroom and 5x toilet). 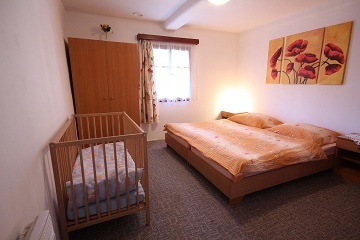 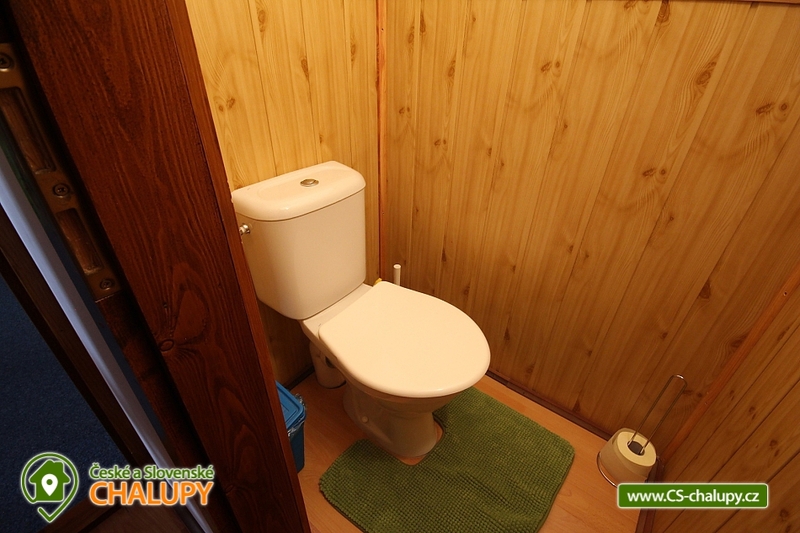 There is a cloakroom, baby cot, changing table, travel fence, 3x children's dining chair, bath and pots. 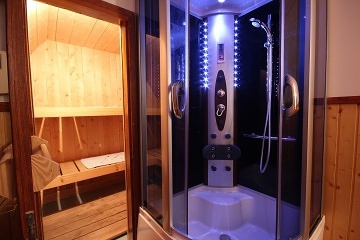 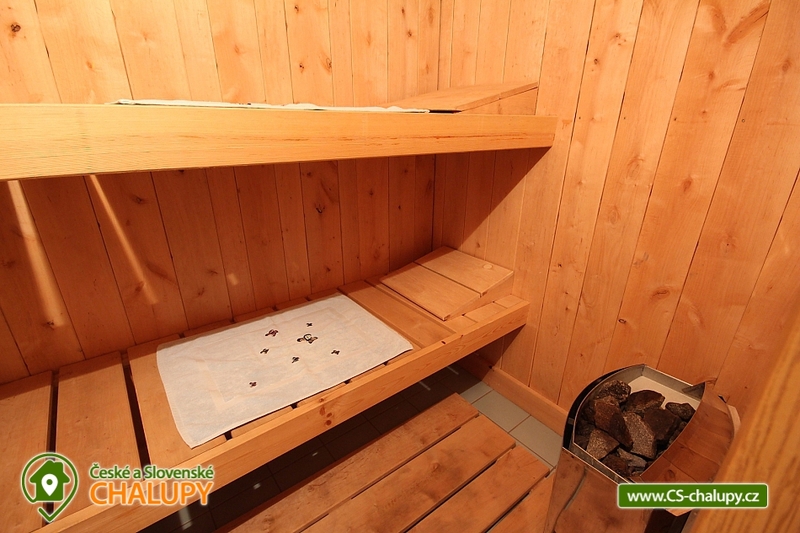 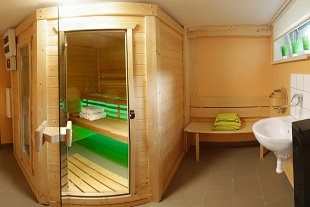 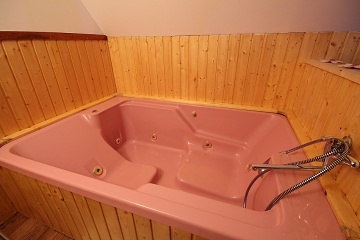 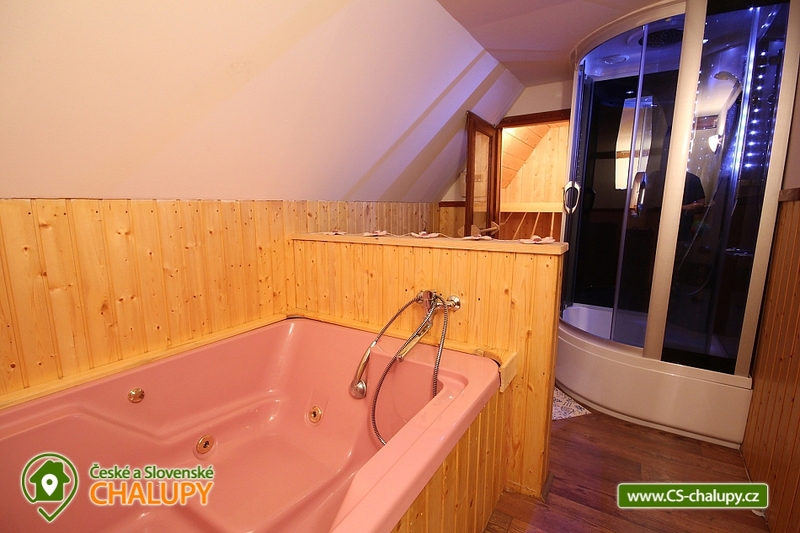 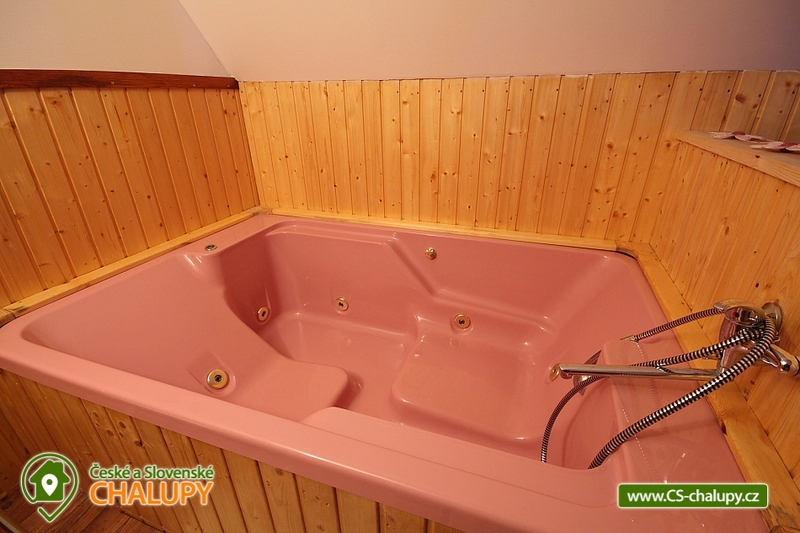 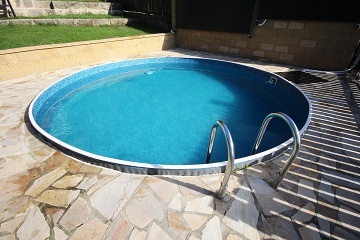 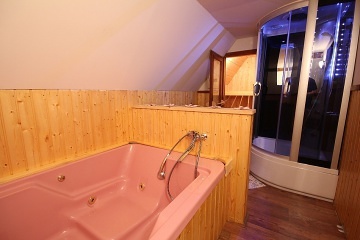 The property has its own wellness area: Finnish sauna for 3 persons, whirlpool for 2 persons and hydromassage shower. 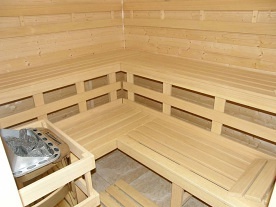 Heating is provided by el. Heaters. 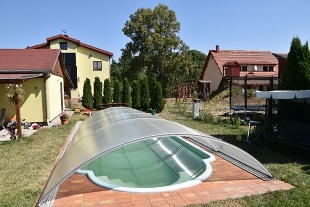 The summer cottage is surrounded by a circular pool with solar water heating (diameter 4.6 m, depth 1.07 m), terrace, roofed pergola, grill, fireplace with sitting and for children playground from acacia - swings, slide, climbing wall, Hammock on spring and sandbox. 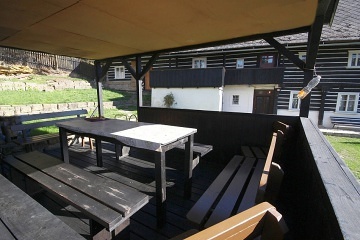 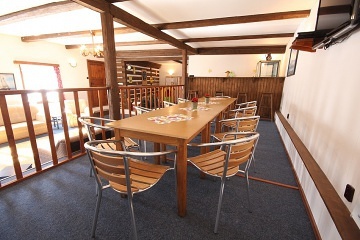 The cottage is fenced plot, parking for up to 6 vehicles is possible right next to the building. 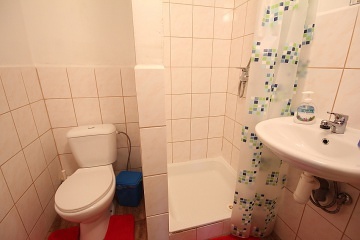 Additional information Lůžkoviny poskytovány v ceně pobytu. 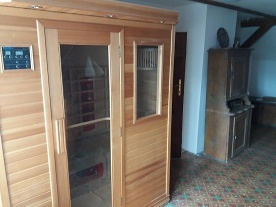 Možno wellness za poplatek 1500 Kč/týden nebo 400 Kč/den.